Living in a rental can feel lackluster, but you don’t need to live in a boring hole in the wall. Your apartment should be your oasis and no renter should be intimidated to make their space welcoming. It’s entirely possible to make impactful changes that won’t break your lease or threaten a full return of your security deposit. 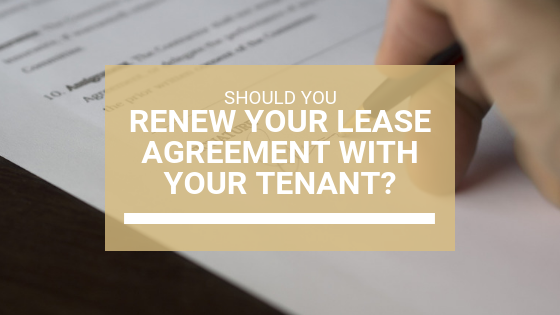 Painting is generally against the lease agreement, but don’t be afraid to ask your property manager or landlord about their specific policies. Some landlords will allow their renters to paint a color of their choice as long as they re-paint the walls the original color when their tenancy ends. If this is not an option, don’t fear that you cannot make your space unique. Temporary wallpaper can serve to add character to room and cover an undesirable wall color. Alternatively, white walls can serve as an excellent canvas for peel-and-stick wall decals. Large removable decals can create a decorative mural, and many small decals create a custom wallpaper look. Whether your landlord recently replaced the carpet, or you find yourself in a rental with flooring that has seen better days–and worse tenants than you–there are quite a few options for covering a less-than-desireable flooring option. Multiple removable tile options exist to cover pre-existing laminate or tile, this can be an excellent way to cater your kitchens, bathrooms and other hard flooring areas to your personal style. 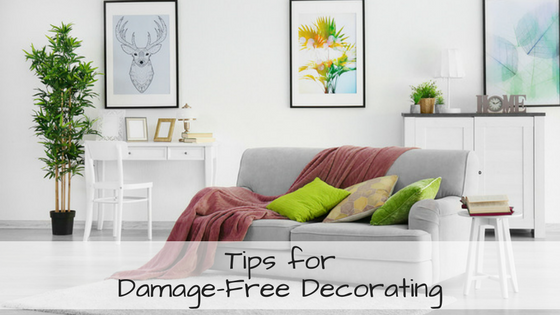 To ensure that you truly protect your security deposit, test any purchases before fully installing them into your rental, some purposed damage-free decorating options, may not be ideal in certain circumstances and on some materials. Eclectic area rugs are a must in any rental home. They can cover unsightly carpet stains from previous tenants, or protect newly installed carpeting–therefore protecting your security deposit. Rugs with bold patterns, many colors or full of texture are certain to give your space a unique feel and create a cohesive look. Art is the ideal way to add color and personality to your room. There are plenty of options to display your favorite paintings, posters and photos without using nails or causing damage. Command and other brands produce many hooks and hangers with damage-free decorating in mind. Command photo ledges can be used to display your favorite art and knick-knacks all year round, and can be modified to create a faux mantle for holiday displays. Keep in mind that all damage-free hanging options have distinct weight limits before they can fail and cause damage in the process. If you have a heavy work of art that you are hoping to display use an easel for a unique way to display that gorgeous piece without hanging it from the walls. Opt for a more ornate option, or a simple wood easel for creating a more modern display depending on your personal style. 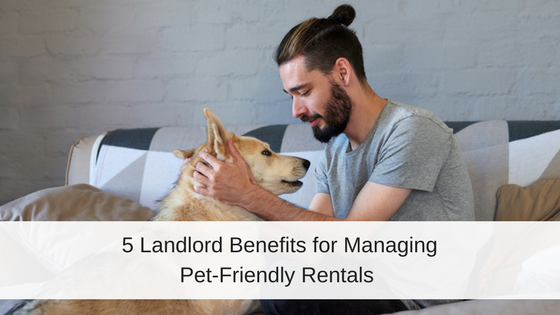 Landlords make it a priority to provide a safe and well-maintained place for their tenants to reside. However, from a landlord’s perspective, decorative or costly items are often not as great of an investment compared to a more durable option. This can often mean that handles on cupboards and drawers as well as window blinds are not the most aesthetically appealing options available. 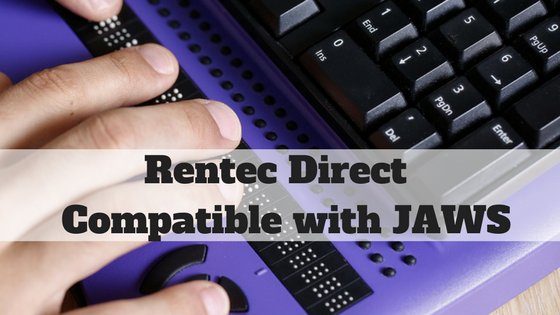 If you find that you wish for more design-friendly options, simply ask for permission to remove the current hardware and replace it with the hardware of your choosing. Don’t forget to save items that originally came with the unit to ensure you are able to replace them at the end of your tenancy without causing damage. 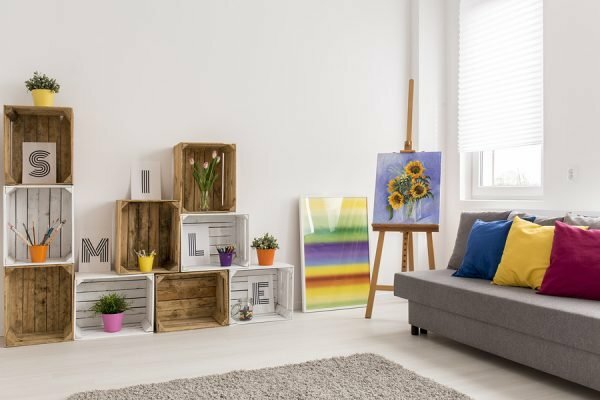 Regardless of how you decide to decorate your space, there are plenty of ways to create a well-curated home without compromising your security deposit in the process. Damage-free decorating doesn’t mean you are left out of the decorating fun.